This sub section highlights the seasonal patterns, key statistics, and flow reliability of selected stations within the basin presented sub basin by sub basin. In doing this, mean monthly flow has been presented together with the standard deviation, then the Box Plot indicating the Maximum, Minimum. Median as well as the 1st and 3rd Quartiles on a monthly basis, and the monthly flow duration curve. Presentation of this follows the sub basins Upstream (in the Nile Equatorial Lakes region) followed by the Eastern Nile and the main Nile. The selection of the stations presented in this chapter was solely based on availability of data of fairly good quality and longer record. The image below is the key for interpretation of the box plots for the monthly flow statistics in this section. This is the most downstream part of the Nile Basin where more than 80 percent of the current consumptive water use occurs. 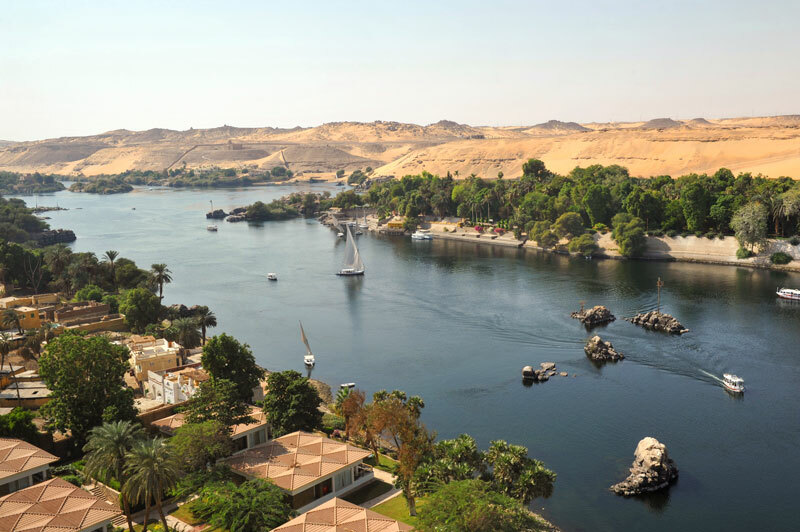 Major features of the hydrology of this sub-basin include High Aswan Dam, which has the capacity to store nearly twice the annual average flow of the Nile and the Merowe Dam (live storage of 12.5 BCM) built in Sudan. The monthly flows depict peaks between August and September as a result of high flow from the Blue Nile within this time of the year.